I recently finished a tea sommelier course so my interest was piqued when Tea Sommelier, a new tea guide by François-Xavier Delmas and Mathias Minet was brought to my attention. Delmas and Minet are renowned in the tea industry for the Le Palais des Thes boutiques so I knew I would be reading quality content. I wasn't disappointed. A pleasant surprise was the playful graphic design which is hinted at by the cover image. The charming graphics and straightforward narrative make this book an accessible guide. A brief introduction precedes eight chapters covering election and preparation, tasting, tea types and processing, tea plantations, tea families, tea and food pairing, cooking with tea, and sommelier training. My major quibble with the book is the order of the chapters. For example, Chapter 3 (What is Tea?) which details tea botany, tea types, and tea processing should be the lead chapter. Leaving aside my preference for the flow of the content, in my short time with the book, I've already grown attached to particular chapters. Chapter 5 (The Families of Tea) might be my favorite chapter. Twenty major tea types and tea styles are given their own factsheets on preparation, aromatic profile, dominant and secondary aromas, and pairings. Another favorite section is the spread titled "In My Pantry". 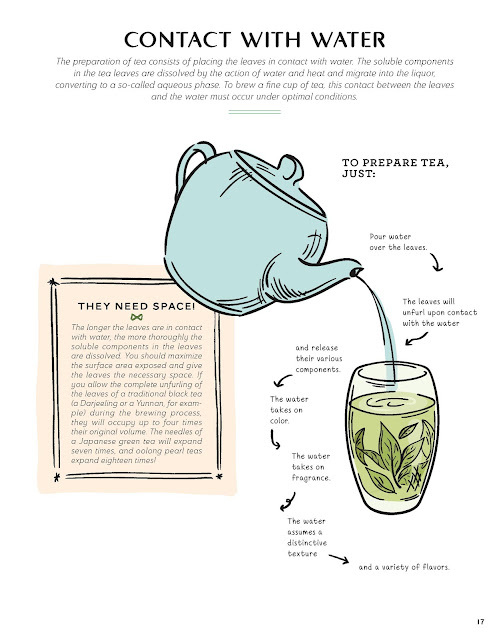 Imagine the teas in your stash and then imagine what food or drink you could prepare with those tea, all in a matrix! Tea Sommelier is a great reference book. It is not esoteric, however. Nor is it solely a book for people beginning their journey in tea. Can you explain retronasal olfaction off the cuff? 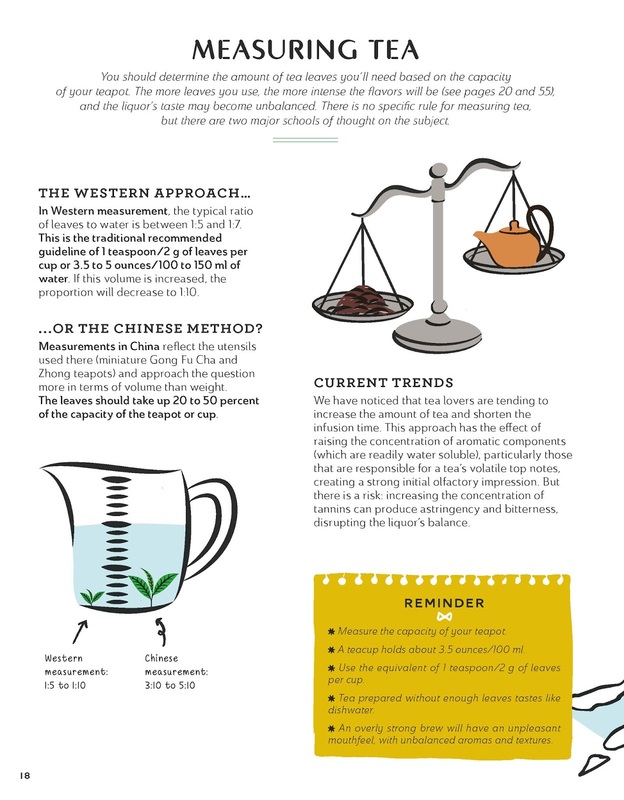 Win a copy of Tea Sommelier and read pages 40-41 to refresh your memory or to learn how olfaction works. Enter the giveaway below. 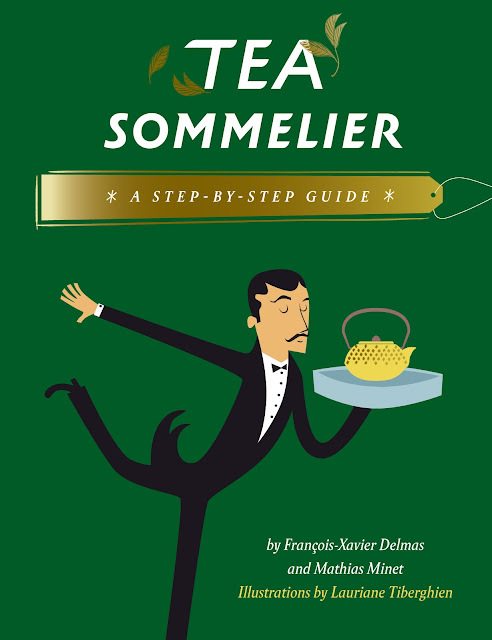 A copy of Tea Sommelier by François-Xavier Delmas and Mathias Minet was provided for review. I had the pleasure of meeting the author when Palais des Thés still had shops in NYC. He was very knowledgeable so I'm sure this book is chock full of useful information. I like to try new teas today I had a green Chai which is pretty basic but was so good. I have a couple of different tea vessels, one I use the most is my Libre. My favorite tea is red rooibos tea. I steep my tea for 7 minutes.